There´s one name missing there,Alex Campbell,he didn´t have photos,but he had a terrible will to lie. People are different, you can't have a "template" of hoaxers behaviour because different people behave differently and react differently to the media attention. In my opinion The Hugh Gray picture isn't a hoax, but more likely to be mistaken identity, that means he's not a hoaxer and explains his demeanour that you discussed. On a slightly different note, while I enjoy reading your blog I've noticed over a long period a move towards debunking the debunkers rather than trying to support the original evidence. Keep in mind that picking small holes in a critical thinkers explanation of the picture, does not make it more likely to be “Nessie” If you debunk a critical thinkers explanation, it moves the situation back to simply not having an explanation. Debunking the debunkers don’t prove anything. If you believe certain evidence proves Nessie I would expect you to concentrate on saying why that is. By trying to shift the weight of responsibility onto the debunkers, your creating the requirement to prove a negative, which is near impossible in this case. Maybe that’s the plan, (I think it is) since it makes it look to the pro Nessie followers that you are winning the debate, but only because you’re shifting it to have this requirement to prove a negative. Going back to the Lachlan Stuart picture, you have discussed at length some irregularities. in the story of the actual hoax; who was where and at what time. Indeed I believe that doing so leaves the reader with the impression the hoax hypothesis is somewhat debunked. But these points don't take away from the actual photograph. 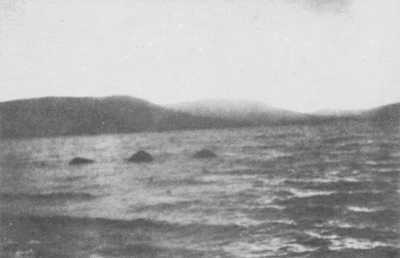 Going back to the original presentation of the evidence, they way I see it someone claims they took a picture of Nessie, and someone else claims its bales of hay. Given the depth of water at that point, and simply considering what bales of hay covered with tarpaulin would look like, I've no reason to doubt its bales of hay. If someone still wants to claim its Nessie, I'd simply consider the balance of probability on that, so even if there was no more proof or evidence to bring into play, this balance of probability says its bales of hay. 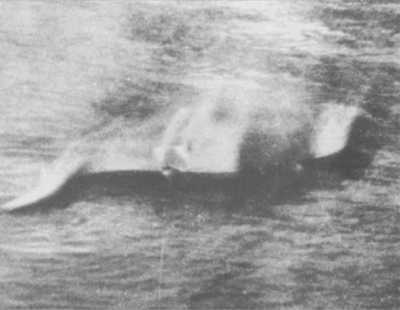 If a Nessie believer still thinks its Nessie, its up to them to persuade me of that, and I could be persuaded if they had evidence. Could it not be as simple as that? I wonder Roland, what you're opinion would be just on balance of probability, is it more likely to be Nessie, or bales of hey? There is only two ways to react to publicity - embrace it or ignore it. People are not as diverse as made out when particular scenarios are focussed on. You may think Gray merely misidentified, but others are not saying that! I am quite fine with a photo/film/sighting being merely labelled as having no explanation, that is better than it being labelled "explained" under the premise of a false or flawed argument. And I have no intention of easing up on debunking the debunkers, if their arguments are leading people to dismiss the evidence and this argumentation can be challenged, it is a no-brainer. There is no intention of shifting burden of proof, the intention is to remove flawed arguments which obfuscate the debate, pure and simple. I'll explain more on Lachlan Stuart in my final article, but on the balance of probability, it is more likely to be Nessie or hay bales? Well, that depends on whether there is a big creature in the loch or not! "someone claims they took a picture of Nessie, and someone else claims its bales of hay"
Wasn't it the same person both times? Stuart claimed it was Nessie, Frere claimed it was hay bales. But Frere only reported that it was hay bales because Stuart told him and showed them to him! Read my articles on Frere's inconsistent statements which would render anything he said as unacceptable as evidence. Hello GB. You wrote "only one photograph (as far as I know) had a public confession and that was the Surgeon's Photograph. The confessor was Christian Spurling"
If you read the book carefully you will see that the whole Wetherell family knew about the prank, and the real hoaxer was Duke Wetherell. Mr Spurling did not make a public confession - he simply told Mr Martin or Mr Boyd what he remembered in response to a direct question. A confession is when someone speaks out to clear their conscience; these chaps were just having a joke at the expense of the gullible. Mr Wilson wasn't a hoaxer, he was an unwitting participant in something not disclosed to him at the time, and embarrassing to him later. I think I would have to disagree with every point you make. Firstly, there were indeed others involved, but Wilson was the man in the public limelight, the others could stay comfortably anonymous and do nothing else. This article is about alleged hoaxers and their reaction to public attention. Spurling did confess, confessions need not carry the implication of conscience (e.g. plea bargaining). How cna you say Wilson was some kind of unwitting participant? Boyd's book says he took the negatives to Inverness to be developed, sold them to the Daily Mail and gave them the concoted story of a monster. A full participant and as much a hoaxer as the rest of them!